Up until a few weeks ago, cardamom was the one spice missing from my collection. I don’t know if you guys know this, but cardamom is freakin’ expensive! The cheapest I was able to find it around here was $5 and that was from a bulk bin! I lucked out recently when I found a huge bottle for $2.99 at World Market and I immediately knew I wanted to make these rolls. I’ve had this recipe saved for well over a year, I was just waiting for inexpensive cardamom. Cardamom is a strange spice. It almost smells citrusy to me, even though is technically part of the ginger family. I thought the taste was very subtle and next time I make these (because they will be made again) I might add a little extra cardamom so it stands out more. I thought these were fantastic and so did my 3 year old. Everyone else who tried them gave them a “Ehh, they’re different” review. They were lighter than the lemon ones I did recently and I think they would be perfect for a warm weather brunch. Combine yogurt and next 5 ingredients (through egg) in a large bowl, stirring until well blended. Gradually stir yeast mixture into sour cream mixture. Lightly spoon 2 1/3 cups flour into dry measuring cups; level with a knife. Add 2 cups flour to sour cream mixture, stirring to form a soft dough. Turn dough out onto a lightly floured surface. Knead until smooth and elastic (about 8 minutes); add enough of remaining flour, 1 tablespoon at a time, to prevent dough from sticking to hands (dough will feel slightly tacky). To prepare filling, combine brown sugar, rind, and cardamom. Divide dough into two equal portions. Working with 1 portion at a time, roll dough into a 12 x 10Ã¢â‚¬â€œinch rectangle; brush with 1 tablespoon butter. 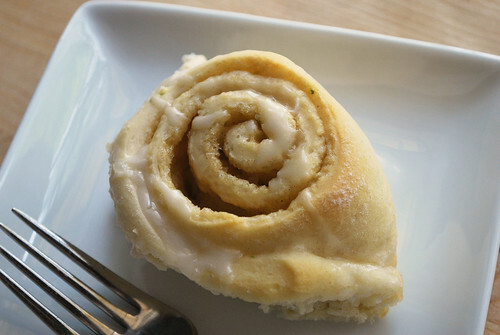 Sprinkle half of filling over dough. Beginning with a long side, roll up jelly-roll fashion; pinch seam to seal (do not seal ends of roll). Repeat procedure with remaining dough, 1 tablespoon butter, and filling. Cut each roll into 12 (1-inch) slices. Place slices, cut sides up, in a 13 x 9 inch baking pan coated with cooking spray. Cover and let rise 30 minutes or until doubled in size. Uncover dough. Bake at 350F for 25 minutes or until lightly browned. Cool in pan 5 minutes on a wire rack. To prepare glaze, combine powdered sugar and juice, stirring until smooth. Drizzle glaze over warm rolls. 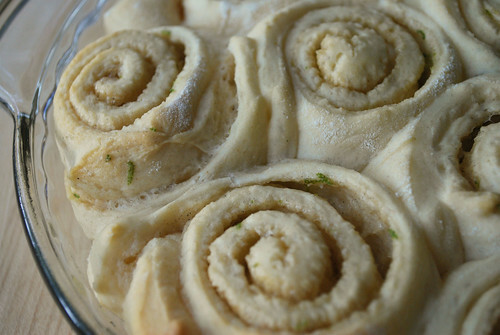 8 Responses to "Lime and Cardamom Sweet Rolls"
Cardamom is one of my favorite spices and I am always on the lookout for new cardamom recipes. This looks fantastic! .-= Cristine´s last blog ..TWD: Sweet Cream Biscuits =-. It is expensive!! I had to buy some to make homemade chai tea mix for Christmas gifts and I couldn’t believe it. The rolls look yummy though! 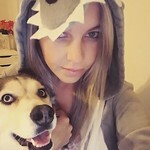 .-= Laney´s last blog ..Weigh In =-. And double it in most recipes that call for it. Can’t wait to try these! .-= grace´s last blog ..a simple turn of phrase =-. That looks great. I would never have thought of that. .-= nicole spaz´s last blog ..Pineapple Upside Down Cupcakes =-. These look so delicious! Going to have to give these a try this weekend. Thanks for sharing. .-= Jacky´s last blog ..Food, Inc. Broadcast Premier =-. So happy to see this recipe – I think of them as a burst of sunrise in your mouth, too much for some folks, first thing in the morning, but I love ’em! And yours are gorgeous. .-= Donna´s last blog ..Visions of Gingerbread and Peppermint =-. Yep, cardamom is a bit pricey, but it’s sooooooooo good! 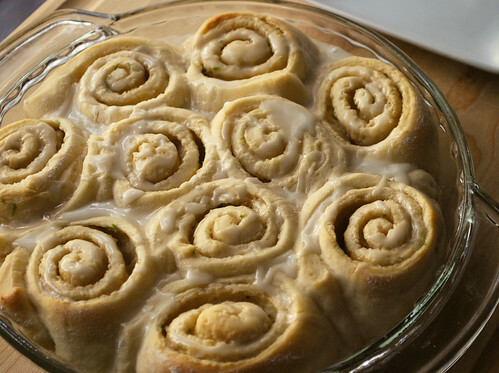 I love the flavor profile of these sweet rolls – pinning them! !